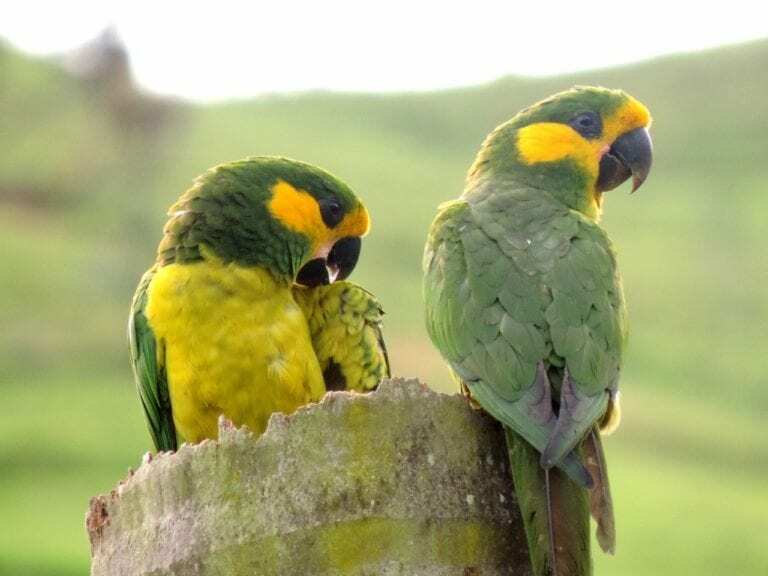 Although more than 8,000 kilometers separate the Canary Islands from Colombia, the Yellow-eared Parrot has a vital link with the Archipelago: the conservation work carried out by Loro Parque Foundation to protect the species, which has contributed to its successful recovery. After a year-long search, a population of 81 individuals was found in the central Andes, in the community of Roncesvalles, whilst in January 2001 a second population of 63 individuals appeared in the foothills of the western Andes in Jardín, in the Department of Antioquia. In the years since the collaboration began, the Foundation has been the principal architect of an initiative that may become the most successful in all of South America. And, in fact, such has been the recovery rate that in 2010 the International Union for Conservation of Nature (IUCN) reduced the Yellow-eared Parrot’s threat category from ‘critically endangered’ to ‘endangered’. This animal has a close relationship with wax palms, Colombia’s national tree, also threatened by cattle grazing and by its indiscriminate use in the celebration of Palm Sunday. Years of research into habitat use, diet, distribution, and reproductive behavior have provided a solid foundation on the threats to the species and the wax palm, thus enabling a global conservation action plan. Among the different initiatives implemented within the framework of this project, they were also able to count on the collaboration of the Vatican. In spite of the roots of this religious tradition, the close collaboration of the Church and a good educational program have made it possible for everyone to use other alternatives today.